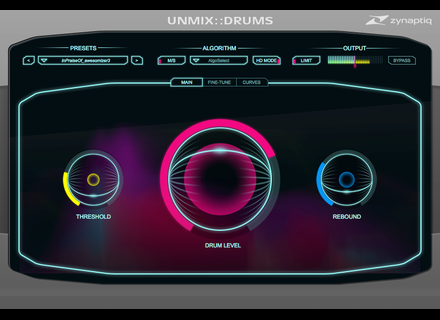 With the new Unmix::Drums, Zynaptiq gives you the necessary tools to remix or de-mix drums in an already mixed audio file in real time. 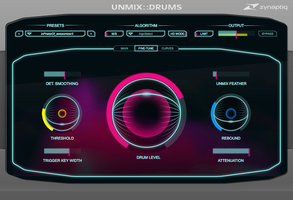 You can use it to balance drums or restore the dynamics in a master, remove or extract drums from a track, for DJs who do mashups, for instance. 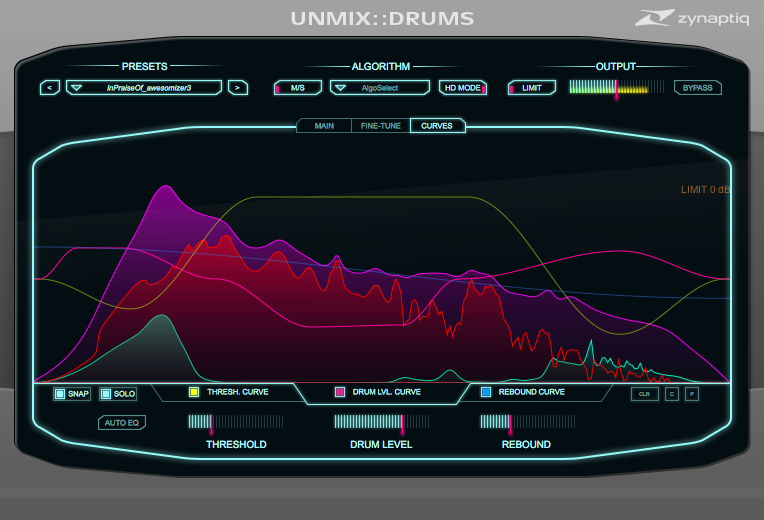 The plug-in supports mono, stereo and Mid/Side processing with samples rates from 44.1 to 192 kHz. The plug-in uses the source signal separation technology and offers a control ranging from +18 dB of boost to virtually complete removal, as well as an output limiter. 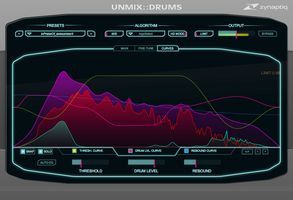 The key parameters are frequency dependent and the GUI includes a Zynaptiq analyzer. 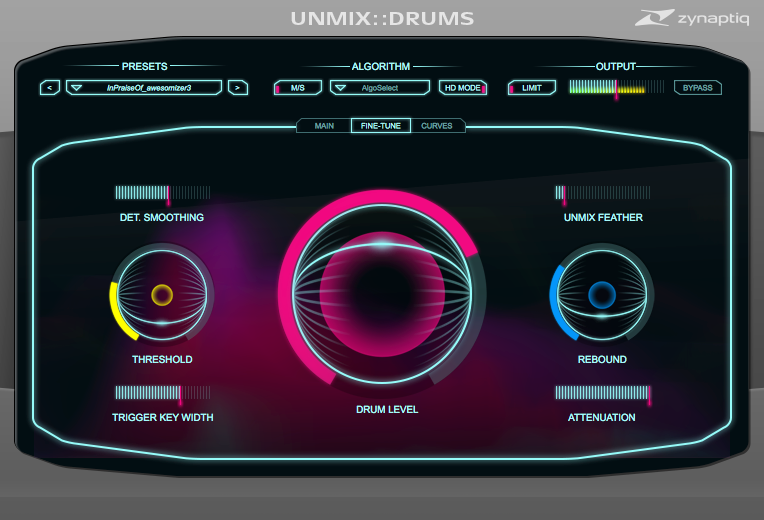 No information regarding the availability or the price of this VST, AU, RTAS and AAX Native plug-in for Mac OS X and Windows. 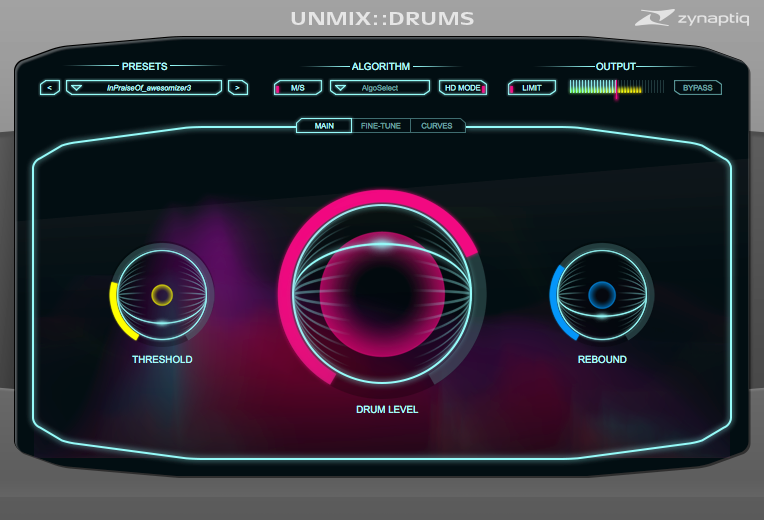 We’ll tell you more about Unmix::Drums tomorrow from booth A91, Hall 5.1 at Musikmesse.